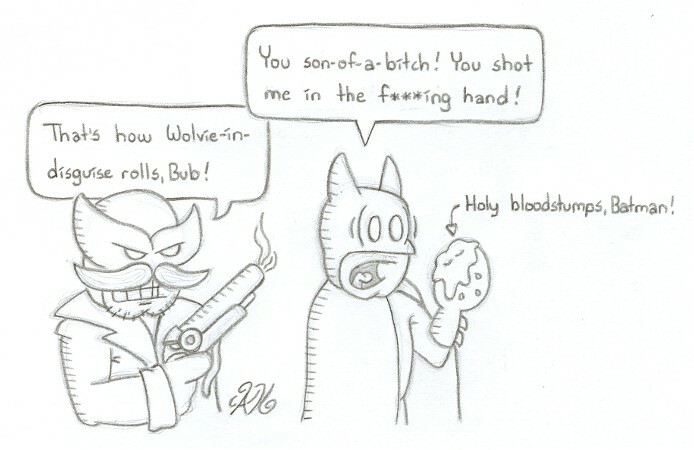 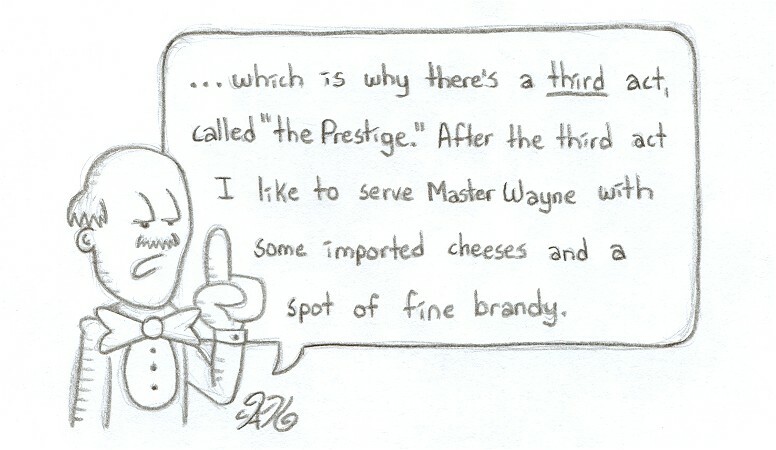 The following comics are based on actual scenes from “The Prestige,” a movie about Wolverine and Batman’s spiteful, often violent, magician’s rivalry. 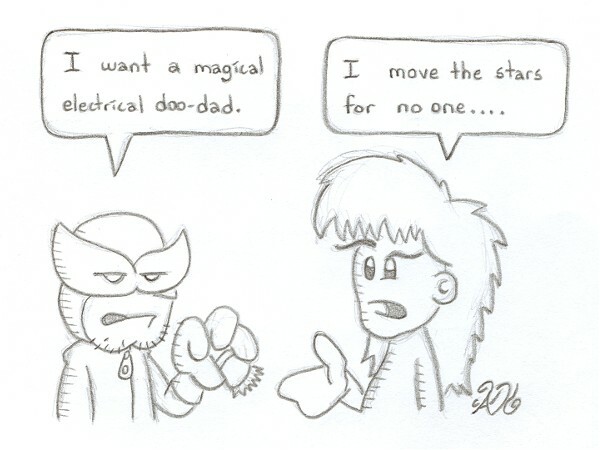 Against the advice of Batman’s trusted butler Alfred, Wolverine journeys to the Labyrinth, where he commissions Jareth the Goblin King to make him a magical electrical doo-dad. 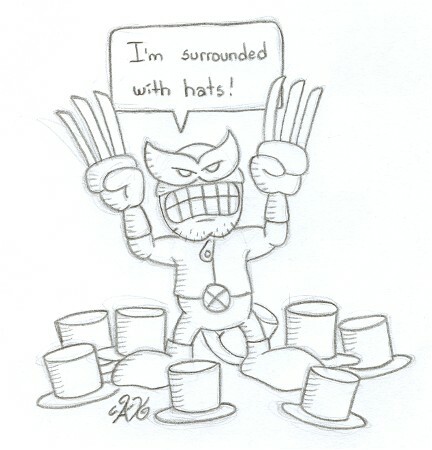 With the help of Gollum, Jareth completes his device, providing Wolverine with not only magical infamy, but lots and lots of hats. 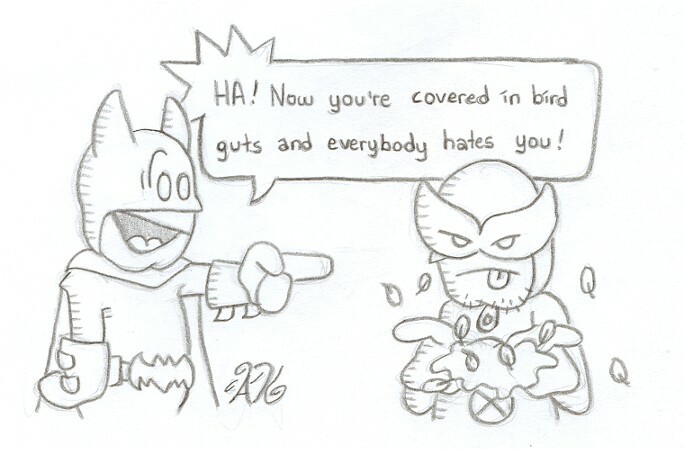 I won’t tell you how the movie ends. 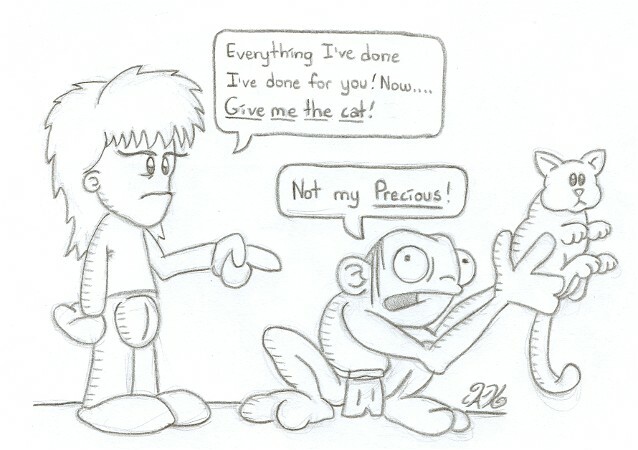 I don’t care about spoiling the ending for you, I just didn’t have enough patience to draw any more than six cartoons.